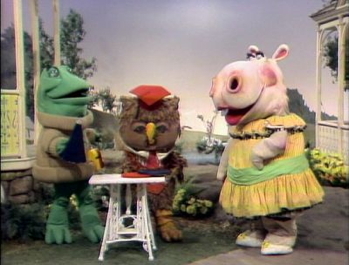 It's World Hippo Day, and we're always up for a high-stakes round of Hungry Hungry Hippos... but we're still terrified by Henrietta from the New Zoo Revue. 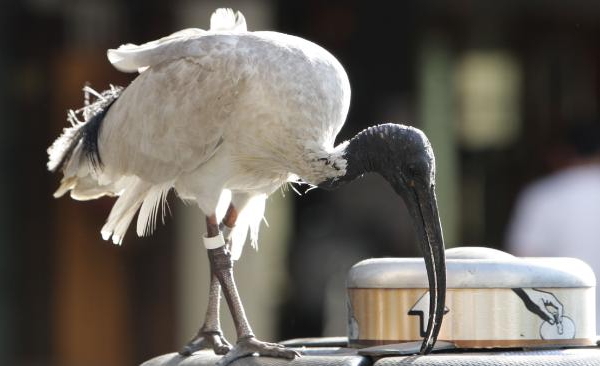 Meanwhile in this week's Chickens in the News, a weird bird known as the Bin Chicken emerges as a contender for Australia's Bird of the Year. (We assume Olivia Newton-John masterminded this whole operation.) And we also have a "What's in the Bag?" segment featuring a fine new item from our very own ESO Network! (Hint: It's time to reinstate the Flopcast Book Club.) And Los Angeles-area Doctor Who fans, beware! Our own Mayor of Chickentown will see you this week at Gallifrey One. 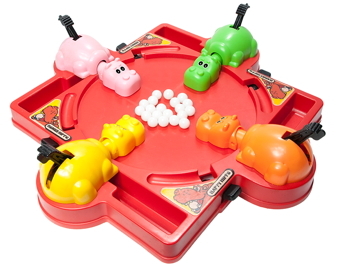 Celebrate hippos on February 15! Juliana Hatfield is coming out with an album of Olivia Newton-John covers! Kornflake now has her very own copy of Tales of the Station Vol. 2, and you can get one by clicking the Amazon link at the top of the ESO Network home page. Although the bin chicken (aka Australian white ibis) ultimately lost out to the magpie, it will be forever immortalized in this fake nature documentary complete with David Attenborough soundalike!